"Tru180° designs, builds and distributes beautiful outdoor furniture made from recycled plastics. Our furniture is hand crafted in shops, not made in a factory. Our products are USA made in the mid-west and we offer a 20 year warranty on products." "When shopping for outdoor furniture, think about maintenance and up-keep. As your garden, trees and yard matures over the years your furniture and accessories age. Cedar and teak furniture can look beautiful when new but one season of sun, rain, snow and wind can take their toll. Invest in HDPE (poly) furniture that is virtually maintenance free and fade resistant (less than 3%) over many years." "Tru180° manufactures and distributes its poly furniture through dealer/retailers except at shows like the OK City Home & Garden Show. Many of our products will be on sale for 25%-30% off at the show. We also offer show prices for 30 days after the show. This is a great way for us to get the brand out but also a neat way for us to feature some of our new products for the upcoming season." "Every element of a home and garden should compliment every other element. We don't like to see one element neglected or forgotten about." "We built a lime green and burgundy 5' glider for a customer. That color combination was never on my radar but once it was built it become one the shop's favorite pieces." 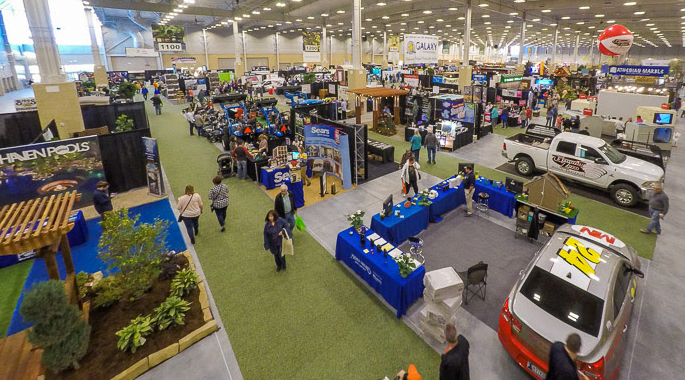 What is your favorite part about the Oklahoma City Home + Garden Show? "We love visiting with everyone at the show!! We actually learn a lot from our customers and owe some of our designs to customer requests. What we also like about the show is that we come away with new friends." "Our products are Amish made in the mid-west. This takes "green" to a whole new level. In addition to our furniture being made from recycled plastics, we use no electricity when building it!! Our carbon footprint is nominal compared to our competitors and to top it all off, our scrap material is recycled to build more furniture!" The Oklahoma City Home + Garden Show is filling the State Fair Park with hundreds of home improvement companies, like Tru180° - Fine Furnishings for Outdoor Living, so you can find everything you need to refresh your space.